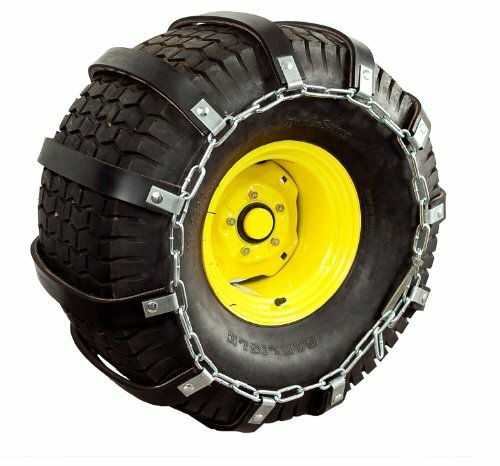 For superior traction year-round, TerraKing TerraGrips offer an exciting new alternative to steel tire chains. Rather than digging into the surface, strong rubber belts provide a firm grip, eliminating scratching, chipping, and general surface and tire wear. Perfect for use in any loose material, TerraGrips install quickly and easily, and are built to last. Try them today, and say goodbye to tire chains forever. Engineered and manufactured in the U.S.A. Sold as a set (set contains two TerraGrips). For sizing questions see sizing guide images 1 through 3. If you have any questions about this product by TerraKing, contact us by completing and submitting the form below. If you are looking for a specif part number, please include it with your message.